A few months ago the finished siddur arrived and the first people I wanted to show it to were not my parents, my husband, my friends or even my own children but my students, because they had taught me so much about creating it. Through the generosity of our Brotherhood and Sisterhood we were able to buy 250 copies for our congregation, and this past Friday night we used it for the first time. But the real joy came today as we used it in Wednesday afternoon religious school tefillah for the first time. One of the teachers told me that the kids in her class were playing a game, and they did not want to stop playing and go to tefillah. Then one of the kids said, “Wait, we get to use the new siddur today!” at which point they all dropped the game to go to the sanctuary. The truth is, we did not get very far. They needed time to hold the books, to flip through the beautiful art work, to even SMELL them! They have that new book smell, several of them told me. We sang an opening song and we did the Bar’chu. I looked down at the notes on the page with Ma’ariv Aravim and asked the question at the bottom. Many hands shot up. It was a great discussion. When we opened to the page with the Sh’ma their eyes almost popped out of their heads. The art work is so beautiful. I asked them, “Why do you think the artist made the page like this?” They told me about the large Shin covered with m’zuzot and the bright colors on the page. The answers flowed. We turned the page. I asked them how the art work there was connected to the V’ahavta. We only got as far as the Mi Chamocha when our half hour was over. Fortunately, we have the rest of the year to explore the siddur, the prayers, the creative readings, the notes at the bottom and, of course, the art work. All of it encourages them to dig a little deeper into their hearts and their souls. 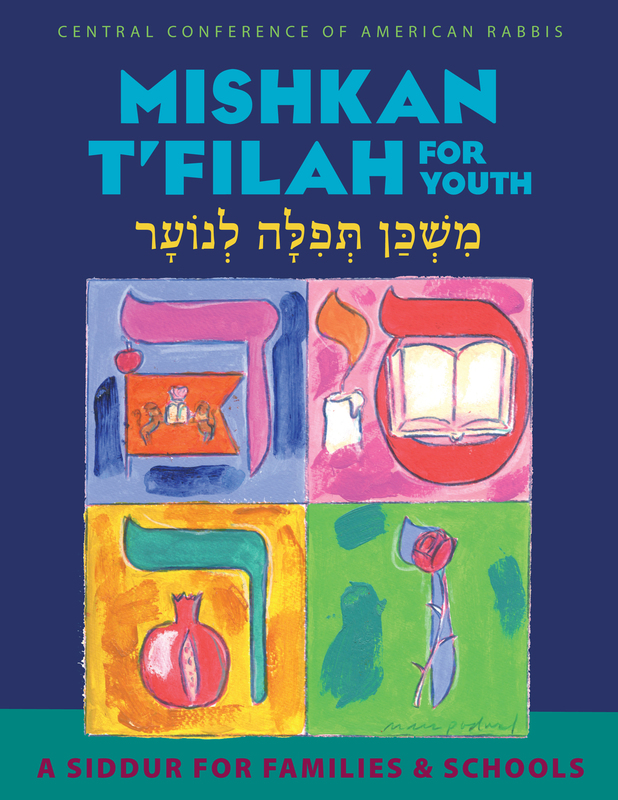 I feel so blessed to have been a part of creating Mishkan T’filah for Youth. I am so grateful to Hara Person and the incredible committee who made it happen. Most of all, I am so proud that all of our students will have a siddur that will help them engage in prayer and grow closer to God. Rabbi Paula Feldstein serves Temple Avodat Sholom in River Edge, NJ, and was the editor of Mishkan T’filah for Youth.